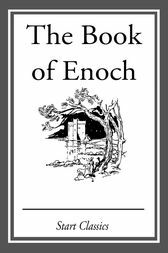 The Book of Enoch (also 1 Enoch) is an ancient Jewish religious work, traditionally ascribed to Enoch, the great-grandfather of Noah. It is not part of the biblical canon as used by Jews, apart from Beta Israel. It is regarded as canonical by the Ethiopian Orthodox Tewahedo Church and Eritrean Orthodox Tewahedo Church, but no other Christian group.